With its brilliant sunshine, pristine coast, and balmy climate, Panama City Beach makes the perfect location for weddings. If you’re here celebrating wedded bliss, be sure to take advantage of the delicious food, natural splendor and exciting attractions. You’re bound to fall in love with the charming atmosphere of Panama City Beach! Known as the Seafood Capital of the South, Panama City Beach combines world-class cuisine with the kicked back atmosphere you expect from a coastal town. That means you can anticipate friendly, attentive service to go along with exquisite views and unforgettable food. Stop by The Back Porch for delicious tuna dip and the famous char-grilled amberjack. Have a hankering for shellfish? Slurp down an icy, hand-harvested Apalachicola oyster with a dash of horseradish at Capt. Anderson’s Restaurant. Or sample a wide variety of shrimp, steamed, fried or grilled. Choose from Panama City Beach’s many seafood options to have lunch at the beach while the sun glistens on the Gulf, sip drinks on a deck while the gulls soar above St. Andrew Bay or savor a romantic dinner while the sun sets over the tranquil waters of the Grand Lagoon. Given the exquisite beauty of the coast, Panama City Beach is the perfect location for a day on the water. The necessary guides and equipment for boating, parasailing or diving are all conveniently available in town. Whether you want fun on the waves or adventure below the sea, Panama City Beach has the ideal excursion for you. Take dive lessons and plunge beneath the surface where the wonders of sunken ships, limestone reefs and beautiful wildlife, like sea turtles and octopus, await. Leave the humdrum in your wake as you skip over the surf or slice through the waves on a watercraft. Or book a parasailing excursion and get a new perspective. The brilliant white coastline and emerald waters offer a heavenly view. There’s no better way to experience the splendor of Panama City Beach than through a visit to one of the area’s natural parks. 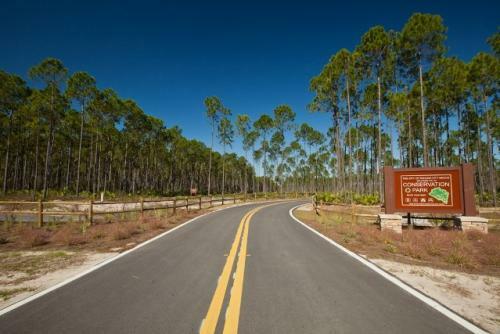 Visit the Conservation Park, featuring vast expanses of restored wetlands, and stroll through a shady wilderness fragrant of pines and ocean air under the shade of cypress trees. You can also spot the varied wildlife including ospreys, alligators and deer. 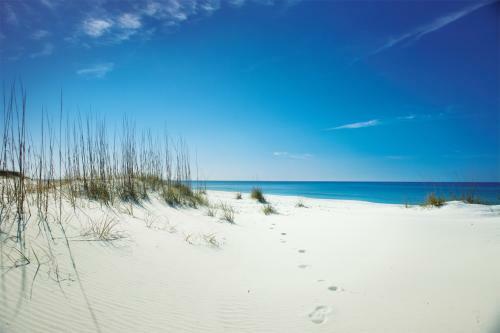 Tour the unspoiled shores of Shell Island to walk along the gently swelling dunes of powdery white sand while pelicans soar overhead. As you explore the beaches for keepsake shells, watch for dolphins frolicking offshore in the surf. 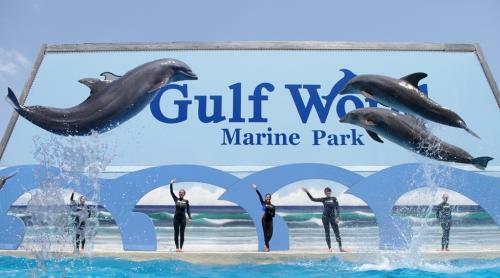 If you’re looking to get up close and personal with Panama City Beach wildlife, you should take a visit to Gulf World, an aquatic wildlife park with exhibits on animals ranging from sharks to tropical birds. You can even swim with rough-toothed dolphins. Looking for thrills? Then take your family and friends to Shipwreck Island where you can experience the pulse-pounding 65-foot drop of the Pirate’s Plunge water slide, or simply float down the lazy river in an inner tube. Panama City Beach is a golfer’s paradise. Home of the PGA Qualifying School and judged as one of the top-three golf towns in the U.S. by Golf Digest, courses in Panama City Beach combine the natural splendor of the native ecosystems with painstakingly maintained greens and challenging play for all levels of expertise. Test your skills at the Wes Burnham designed course at Hombre Golf Club or play the forgiving fairways of Holiday Golf Club. 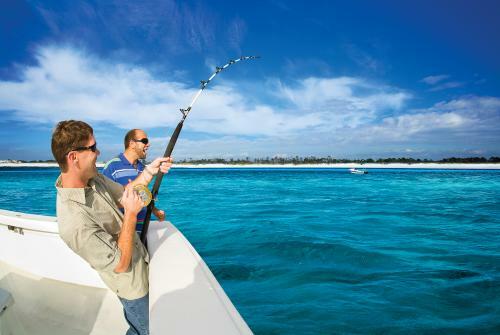 Whether you’re an expert angler or an amateur fisherman, you’ll have the time of your life out on the water. The tranquil waters of St Andrew Bay are ideal for a family outing while the Gulf makes for a more sporting adventure. Whatever the season, the waters of Panama City Beach teem with fish. Go trolling for king mackerel, bottom fish for amberjack, or cast your line off Russell-Fields pier, which stretches 1500 feet into the Gulf. For more wedding guest activity ideas, be sure to visit our extensive list of things to do in Panama City Beach. Nothing beats dining al fresco. Enjoy Gulf fresh seafood right off the boat at one of our award-winning restaurants. Known as the “Seafood Capital of the South,” Panama City Beach offers an array of dining options to please all palates including award. One of the most popular outdoor recreation spots in Florida, St. Andrews State Park is characterized by rolling, white sand dunes separated by low swales of pinewoods and marshes. The 1,260-acre area has more than 1.5 miles of beach on the Gulf of Mexico and the Grand Lagoon. Outdoor enthusiasts can find hiking along scenic trails, camping, unparalleled fishing, kayaking tours, diving and more. Hop on a shuttle to Shell Island and enjoy the quiet, pristine beach. Sailing, windsurfing, leisure boating, parasailing and Jet Skiing are all popular ways to explore the Gulf of Mexico. Visitors may also hop aboard tour boats for dolphin sighting excursions and snorkeling. Take your guests and family members on a sunset tour with Island Time Sailing or the Sea Screamer. 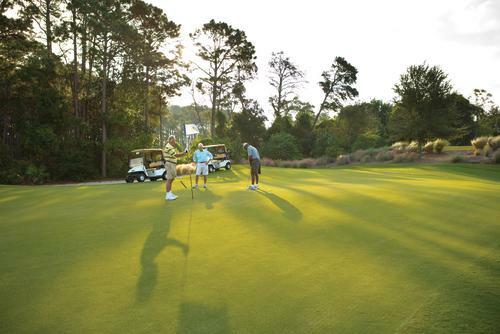 For landlubbers, Panama City Beach features five 18-hole championship golf courses. The destination’s golf is world-class, thanks to temperate weather, stunning landscapes, challenging holes and more. Visitors can head out on a charter, guide, or headboat on the Gulf of Mexico or cast a line off the pier in St. Andrews State Park, the 1,500-foot newly renovated Russell-Fields Pier (also referred to as City Pier) or its twin, M.B. Miller County Pier. 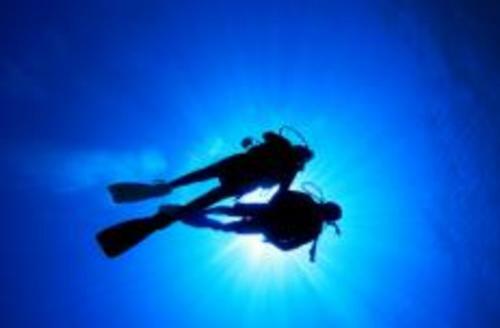 Known as the “Wreck Capital of the South,” Panama City Beach provides the greatest variety of dive sites of any area. The crystal clarity of the Gulf also ensures high visibility to view sea turtles, giant Manta Rays, puffer fish, sand dollars, blue marlin and horseshoe crab, just a few of the species that inhabit the emerald waters. 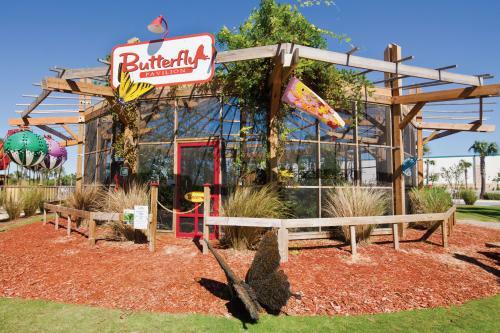 A new addition for kids and young at heart is the new Butterfly Pavilion at Pier Park, a 2,500-square-foot pavilion featuring more than 400 fluttering butterflies in a colorful, flower-filled habitat. All of the butterflies are native to Florida, including Painted Ladies, Giant Swallowtails, Monarchs, Zebra Longwings, Great Southern Whites, Zebra Swallowtails and many more. The Conservation Park integrates two fundamental principles which remain a continuing focus for local government and community. The desire to protect and balance our natural resources while providing outdoor recreational opportunities is the driving force in establishing the Panama City Beach Conservation Park. The 2,900 acres of the West Bay Ecosystem is being protected by the management and utilization of the City’s reclaimed water to rehydrate wetlands. The natural water balance in these wetlands was altered many years ago as tree “farming” became predominant in the area. A homegrown local business, The SeaBreeze winery was started with a quarter-acre of muscadine grapes, a wine kit and a membership with the Florida Grape Growers Association in 1996. Seven years and 100 acres later, the SeaBreeze Winery soon became a favorite spot for locals and visitors alike, who can enjoy tours and tastings daily. 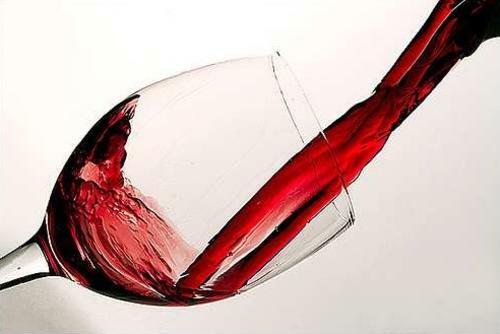 Additionally, since its 2003 opening, the winery has collected numerous accolades at nationwide competitions and summits.